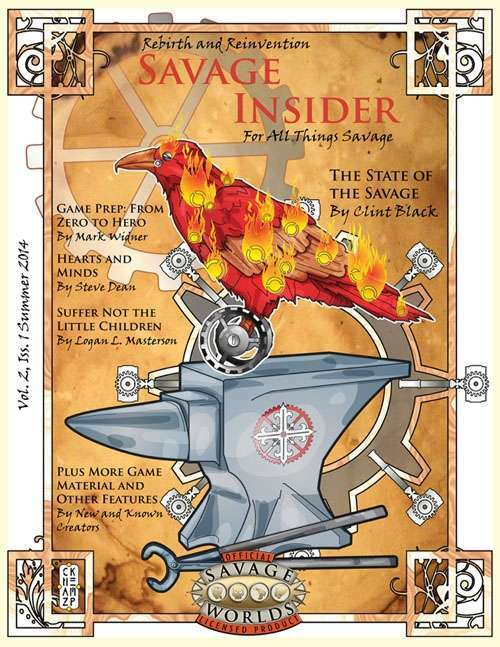 This issue of Savage Insider marks the debut of Volume 2, now published by Obatron Productions. We're passionate about Savage Worlds and want to share that with you. Originally envisioned as a 48-page issue, our new format garnered an overwhelming response, allowing us to increase the size by more than 50%. The theme is Rebirth and Reinvention, and it is threaded throughout all the pieces, which can be used across genres. We can't wait to hear what you think of this issue. Buy it now and put it to use at your next game.